Simplicity is the strength of the R2200 system. Suited to a variety of mixtures of numerous textures and consistencies, the R2200 uses synchronized paddles to gently press mixture into the required form shape. 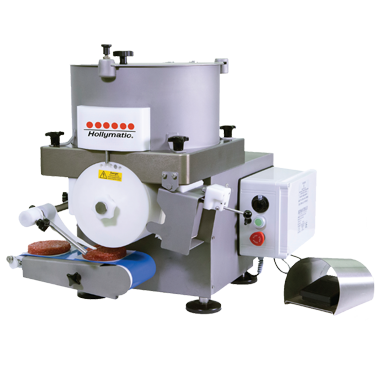 Assisted by the wire drum scraper, the formed product is then smoothly ejected and interleaved with paper onto the conveyor, presenting it for packaging or additional processing. Download PDF below for additional information.